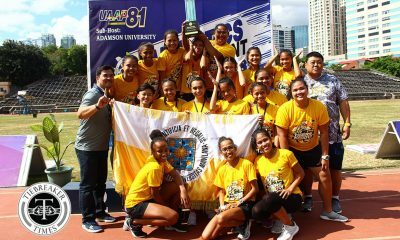 The third day of the UAAP Season 81 Women’s Athletics Championships saw two lead changes in the points tally – a testament to how tight it has been, and perhaps will be between Far Eastern University and University of Santo Tomas. At the end of the day, it was the growl of reigning champions Lady Tracksters that made them leaders. The orange oval was the venue of the tussle, and the Lady Tamaraws and the Lady Tracksters made it their battle ground, sharing successes in the day’s events. With a 3-4 finish in the 3000m walk, the España-based lasses snagged the lead as Richie Dala took the bronze. The 5000m silver medalist, Adamson University’s Diana Cadlaon, did one better this time with the gold, while Yve Chloi Aclo of University of the East took second place. Together with reigning Most Valuable Player Louielyn Pamatian, Alyssa Andrade, and Rosnani Pamaybay, Karen Janario paced UST’s 4x100m team to gain ground with a golden performance. 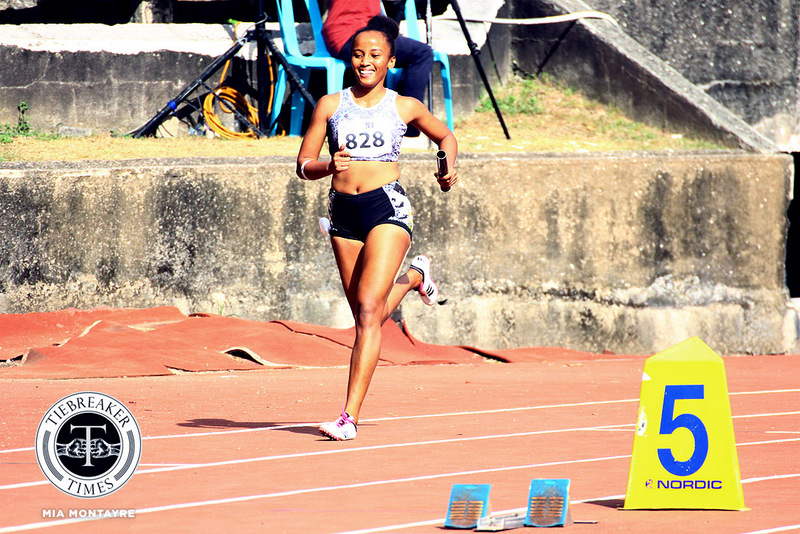 The sprint queen of the league broke away of the pack in the last 100m, even as University of the Philippines captain Bianca Ramos gave chase. In the end, UST stopped the clock at 48.36, while the De La Salle University quartet at 48.64 came from the outside to relegate UP to the bronze at 48.80. 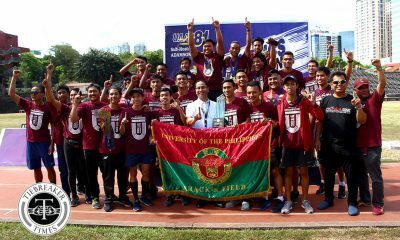 It was then FEU’s turn to get a taste of the advantage, as Joida Gagnao and Joneza Sustituedo claimed a 1-3 finish in 3000m steeple-chase. 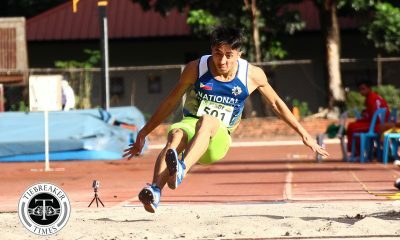 Gagnao took the course with ease, cruising past the competition at a swift 11:10.36 – more than a minute ahead of silver medalist and Fighting Maroon Maricris Naciluan at 12:14.21. It took Sustituedo 14 seconds later, but it was enough to complete the podium. 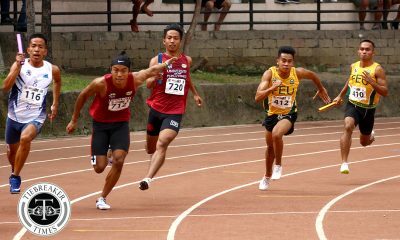 However, the lead was short-lived; UST’s surprise 200m silver medalist made her mark at the 400m dash. Louielyn Pamatian, the 800m champion, got her third medal and second gold of the season after finishing at 57.37 seconds, ahead of UP rookie Marisol Amarga’s 57.49. FEU’s Samantha Pedral took bronze at 58.41. 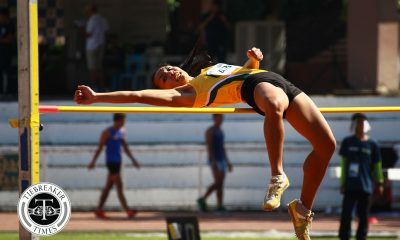 UST’s Aira Teodosio might have not gained another gold but her new medal – a bronze – glittered like one as she paced her squad’s run to the lead. The shot put champion threw the discus at 36.96 for the third-place finish. 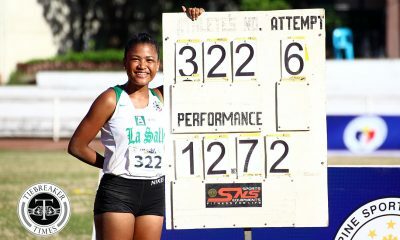 It was La Salle’s Daniella Daynata who pocketed the gold a huge 40.23 heave, leaving Dianne De Jesus of UP with the silver at 38.06.